Q. How do I log in to Library Search without a UniKey? 3. 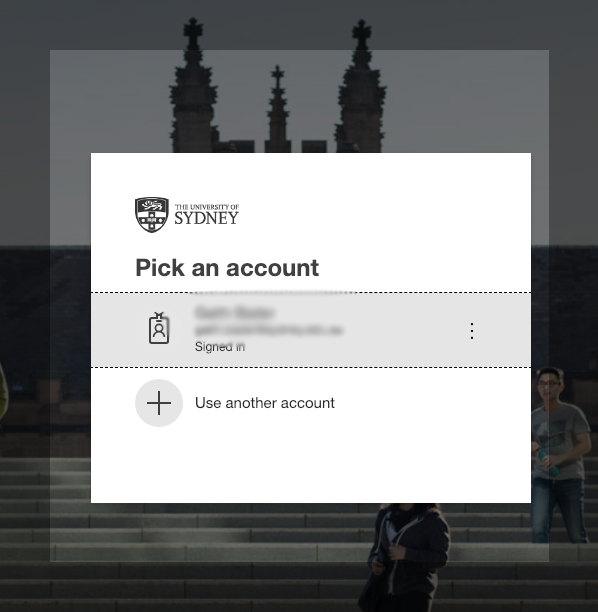 Enter your Community ID (it should end with @community.sydney.edu.au). Click Next. 3a. If you already have a Microsoft account you would get this screen instead of the one above. In this case you would need to click first on Use another account link. 4. Enter your temporary password. Click “sign in”. 5. Update your password by entering in the temporary password again followed by a new password. The new password should be strong (this field is case-sensitive and the password should contain a combination of letters/numbers/characters). Common passwords will cause an error message. Click Sign in. 6. You'll be asked for more information to keep your account secure. Click next. 7. Enter an email address to authenticate your new account. (If it says Authentication Email is not configured, select Set it up now.) Click email me. Please note you have 15 minutes before your session expires, the countdown is at the bottom right hand corner of the screen in red text. 8. Take your 6-digit authentication code from your nominated email and enter it in the field below your nominated email. Then click verify. 9. Click finish to close the page. 10. You should be prompted to enter your new password (from step 5). Click Sign in. Once logged into Library Search, your name should appear on the top right-hand corner.